When is “Genetic Autism” Not Genetic? THE FOCUS ON THE CONTRIBUTION OF GENES to the risk of diagnosis of autism seems warranted, if you look at the press. Each week, sometimes each day. a new study comes out about a gene that is an important contributor, the stories go, to our understanding of autism. Here’s one that touts the gene SCN2a as a “Rosetta Stone” for understanding risk of autism. It’s poorly written because it misrepresents the full knowledge base. The media’s coverage is, to some extent, dependent on their ability to comprehend genetics, and what they are told by investigators. I get hype for research; it’s a form of marketing that is essential to communicating our the value of our activities to the public. But the story conveys a sense that autism “is genetic”. It also makes no reference to other studies of a similar gene, SCN1a, related to Dravet’s syndrome and seizures. Here’s one I cite in “Causes”. We’ll come back to that later. Considering autism genetics can be complex. When there are genes that are found to contribute to the risk of autism, and individual genes are headlines, and yet there are hundreds of genes that contribute, none of which are known to contribute to more than 1-2% of the cases of autism, what is really going on? 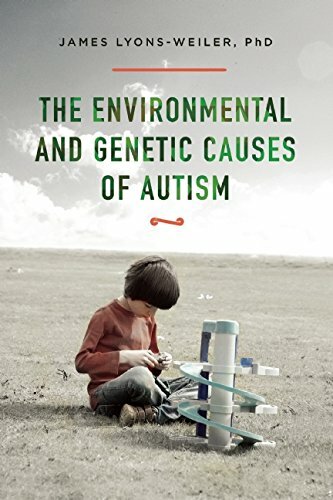 Much of the landscape of autism genetics, the roles of environmental factors, and, importantly, the role of the interactions between genes and environment is mapped out in “Causes”. I reviewed over 2,000 studies on autism to come to grips with a number of important unanswered questions, not the least of which is “which is more important in autism: genes, or environment?” It may appear to be a simple question, for given the dramatic rise in autism diagnosis, we cannot expect that such an increase in less than a generation to be attributed to genetics. And that view is nearly 100% correct. But at the risk of incurring the wrath of individuals who may fear that today’s post, and my book, is another attempt to make people think “autism is genetic”, let’s proceed. To say “autism is genetic” is to make very specific claim about where the risk of autism came from. In the vast majority of people’s minds, it means that the risk of autism in children comes from their parents. And to the extent that our genetic information comes from our parents in the form of our DNA, usually packaged into 23 pairs of chromosomes in our genome, some of the risk of autism is surely “genetic”. However, much of that risk was not present in past generations, because a high proportion of the genetic information that appears to contribute to autism has been found to be in form of de novo mutations. They are new mutations that occur in the formation of the sperm and the egg, in the parent’s body during cellular division leading to gamete formation (meiosis). (A) Dominance, and Heterozyosity/Homozygosity. Some truly genetic traits are expressed regardless of whether we have one or two copies of the specific variation leading to the trait; these traits are considered dominant, and the risk of seeing the trait is 100% if one carries the variation from either mother, or father, or both. Other traits require the specific variant (or similar enough variant) from both parents to be observed in the offspring; these are called recessive traits. (B) Single vs. Multi-locus Traits. Some traits seem more blended than other. When multiple genes contribute to these traits, the inheritance of risk still exists, but the resulting pattern of the appearance of traits in offspring may be considerably more variable than for simple genetic traits. These are called ‘multi-locus’ traits because genetic information located at multiple positions on chromosome are observed to contribute to the trait of interest. So the risk of purely genetic autism is very low, and yet the two largest genetic studies conducted to date conclude that overall genetic liability of autism is around 50%. They attribute the remainder of the risk to environmental causes. So what’s the difference between RISK and LIABILITY? Risk is an inherent characteristic of an individual; each of us have an individual risk of developing cancer. Liability is the degree to which genetics, or environmental factors, can be said to ‘explain’ the incidence of a trait (usually a disease trait) in a population. So with hundreds of genes each contributing “to autism” in small percentages, the total population-wide occurrence of increases in traits can be explained, in part, by “genetics”. I use “genetics” in quotes here because I mean the combined total population risk due to both inherited genetic variations, and de novo mutations. Up to 20% of autistics show increases in new genetic variations, not found in either of their parents. And thus while the information is carried in the gametes in the genome sequence, the trait “risk of diagnosis of autism” is not inherited, because it is not shared by the parents. Many of the other conceptual contrasts can now also be made clear. GENETIC VS. FAMILIAL RISK, for example, is seen as the risk of a trait appearing in offspring due to inherited risk of the disease trait due to genetic information seen in either or both the parents and in the children, whereas FAMILIAL RISK is seen as the overall risk found in children born to the same parents whether the source of that risk is genetic, or due to a common environment. It should be noted that it is possible that some families are at overall higher GENETIC RISK of having de novo mutations (such as mutations in post-replication mismatch repair genes active in meiosis), and therefore the GENETIC RISK of de novo mutations may be shared among siblings. This characteristic would tend to be shared among siblings both with, and without autism, but may be expected to be higher (more concordant) in twins and in siblings with autism. The distinction between CONCORDANCE vs. HERITABILITY is an important one to make. CONCORDANCE is the rate of shared occurrence of traits among siblings in the same family, and is a mix of genetic contributed liability and liability due to shared environment, whereas HERITABILITY is the rate of share occurrence of traits between parents and offspring. Obviously, since parents of most autistics born since 2005 do not have autism themselves, the pattern of traits across millions of pedigrees indicates that the evidence of autism risk cannot come from HERITABILITY of risk, again, implying a large role for shared environments explaining any studies with high rates of CONCORDANCE of autism or traits associated with autism. Where G X E is the interaction between environmental and genetic factors. Clearly (G x E) is not zero in autism, given that purely genetic autism is perhaps no more than 1-2% of cases of autism. So if E+(G x E) = >98% of autism, either E is huge, or (G x E) is huge, or both are huge. Now we can see that if G2 is being increased, the importance of the apparent “genetic” contribution of de novo variations cannot be known until they are studied in the context of environmental factors. We should expect that environmental factors, and both G1 and G2 type genetic factors are causal; and none are mere ‘triggers’. What is Causing Increased Rates of G2 de Novo Variation in Autistics? So where is the genetic contribution to the “genetic” liability coming from? This is an important question, because if 20% or more of autistics have increased numbers of de novo copy number variations, effecting apparently hundreds of genes, whatever is causing those increases of copy number variations must be identified. Some hypotheses are being looked into, from, as I indicated, the DNA repair genes involved in meiosis. Scant evidence exists one way or the other (many readers will appreciate that careful distinction, can I get an “Amen!” for Science? ), but it is interesting that there appears to be decreased risk of cancer in autistics. To me, this implies the loss of individuals with cancer risk from the population of autistics, perhaps in the womb, due to excessive genetic load. Variations (inherited and de novo) that contribute “to autism” may (I speculate) already pose such difficulties for developing embryos that variation in the critical DNA repair genes may simply be screened out by lethality of genetic (G1 + G2) burden. It would be interesting to see if siblings of children with autism have a higher overall incidence of cancer risk or increased variations known to contribute to cancer risk because they represent individuals who survived embryonic development with mutations. Another hypothesis that could explain the increased rates of de novo variations, posed by radiologist Dr. Edward Fogarty, is the increase in the use of pelvic CT scans. No evidence exists yet (again, a call FOR SCIENCE, not a call for No More Science), but straightforward looks at the rates of pelvic CT and other radiologic exposures in parents with of autistics compared to parents of neurotypicals could be critically important. Two lines of evidence make this compelling. The first is the association detected between access to health care and rates of autism. There could be other obvious contributors to the association of access to healthcare and rates of autism, including exposures to neurotoxins in vaccines (mercury, aluminum) and more likely diagnosis. But neither of those factors can be expected to lead necessarily to increases in de novo variations. The other line of evidence is the association of the age of parent with autism; older parents are more likely to have had multiple exposures to medical diagnostic radiation. Dr. Fogarty and I will be looking into these environmental factors in 2017. (3) Autism Phenotype Modifier Genes – Genes that contribute to traits often associated with autism in the population, but that also show heritability in the entire population, not just the autistic population (language skills, some social skills, intellectual ability). I offer examples of each of these three categories in “Causes” as hypotheses. Recognizing these three categories of genes will be essential for a fully understanding not only of autism, but of the many conditions that are thought to be co-morbid with autism, especially seizures, intellectual ability, and propensity for anger. Because many of these traits or tendencies involve pathways that clearly overlap with pathways that influence the core characteristics of language and communication, social abilities, and repetitive motions used to diagnose autism, it is very clear (to me at least) that every child with autism, or on the spectrum, and every child with a familial risk should have their genome sequenced and studied and their particular constellation of variants determined to be inherited (G1) or de novo (G2) studied to see if they are at risk of these other traits, and to see if they are at risk of suffering due to specific environmental exposures. They did not study vaccines. Autism is, for the most part, environmental. Our species did not evolve in a world with highly irradiated pelvises, and a toxic soup that challenges a growing identifiable minority of individuals who will get sick, or die, or whose normative neurologic development program will be altered. And as we (all) become increasingly sick, what is the logical outcome of increasing the baseline of toxic exposures by packing the untested CDC schedule with increasing numbers of vaccines? The logic around vaccine safety science has been replaced by a shell game, mixed with false dichotomies. Remember SCN1a, which I promised we would come back to? It turns about that because a few studies found that Dravet syndrome patients with encephalopathy were conducted, and they found and reported small numbers of patients w/mutations in SCN1a. Because they existed in these patients, the studies concluded that the encephalopathy could (potentially) be due to the mutations. Prior to these studies, vaccines had been (and still is) attributed as the cause of encephalopathy in these patients. Do those mutation case series exonerate vaccines? It requires science to rule out vaccines. Mutations do not exonerate vaccines as a cause of encephalopathy simply because the mutations were found second. The studies had no control groups (patients with Dravet’s with no history of vaccination), so it is certainly plausible that, as in many complex disorders, the risk is additive, or these mutations (or others) interact with toxins from vaccines in identifiable way. 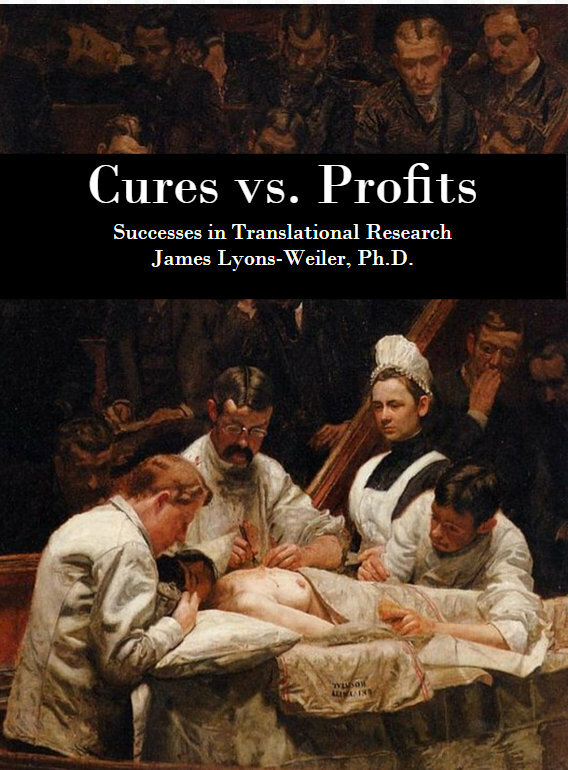 We need multifactorial thinking in vaccine safety science, not merely “either/or” contrasts. And please stop using non-sequitur molecular excuses like “channelopathy” to hide “autism”. The damage done to sodium channel functioning via mutation, or via environmental exposures, is identical. It’s called “phenomimicry”. Journal editors, stop retracting papers because a vocal minority of individuals say they cannot live with those published results. Journalists, #bebrave and report on the environmental factors, including vaccines. Let us have #the conversation, so we can enact a sea change. If you all start reporting at once, Pharma will not pull their funding from everyone. Mass resistance WILL WORK. Parents, continue to tell your stories, to Polly at #vaxxed and any outlet you can find. For heaven’s sake, let’s stop using Thimerosal in flu shots for pregnant women (and for everyone, while we’re at it) and stop vaccinating pre-term babies altogether. This study shows that Thimerosal specifically inhibits a protein called ERAP1, which is responsible for proper shortening of ALL proteins during translational expression. Who in their right mind would want to alter protein editing processes in anyone, not to mention developing fetuses? And why in the world is 850 micrograms of aluminum the safe dose limit for a 150 pound adult, and the same dose limit for a 7.5 pound baby? Why is 5 micrograms the limit of aluminum in biologics other than vaccines, and yet pre-term infants receive 250 micrograms after a few days? Where is pediatric dosing in vaccines? Where is the vaccine safety science? More importantly, where is the integrity in vaccine safety science? If we return to Science, we can make vaccines safer. Totally safe? Maybe not. Much safer? Certainly. Spacing out vaccines is not a crime. It’s informed caution. We can screen for epitopes that make vaccines unsafe for some because they match human proteins. We can develop and use means of artificial immunization that elicit dendritic cell responses – without aluminum. Vaccine safety science must look at tallied cumulative exposures, not vaccinated vs. vaccinated. Clinicians, petition Medicare to count medical exemptions TOWARD, not AGAINST, the 60% rate you need to enjoy your bonuses. Were it not for their medical conditions, after all, they would be on schedule! Researchers, stop burying associations and model overfit. CDC, publish all of the comments on the proposed weakening of the risk of MMR, and uncensor my comment. Oh, and fix your website, it looks like there are zero comments. Congress, one last time, PLEASE subpoena William Thompson. We all know what happened. It’s getting embarrassing. We’re moving on. Either way, you’ll be hearing from us. All of this can be done. All of it MUST be done. I dedicate this blog article to The World Mercury Project, and I wholeheartedly endorse Mr. Kennedy as Chairperson for the Vaccine Safety Science Commission. Their logo here is used without permission, and WMP has nothing to do with my blog, or any of its articles. I am grateful for everyone who has helped me to this point. There are so many. You know who you are. Thank you. I can think of no more fitting memorial for Dan than stopping this man-made epidemic in its tracks. Let us return integrity to science.